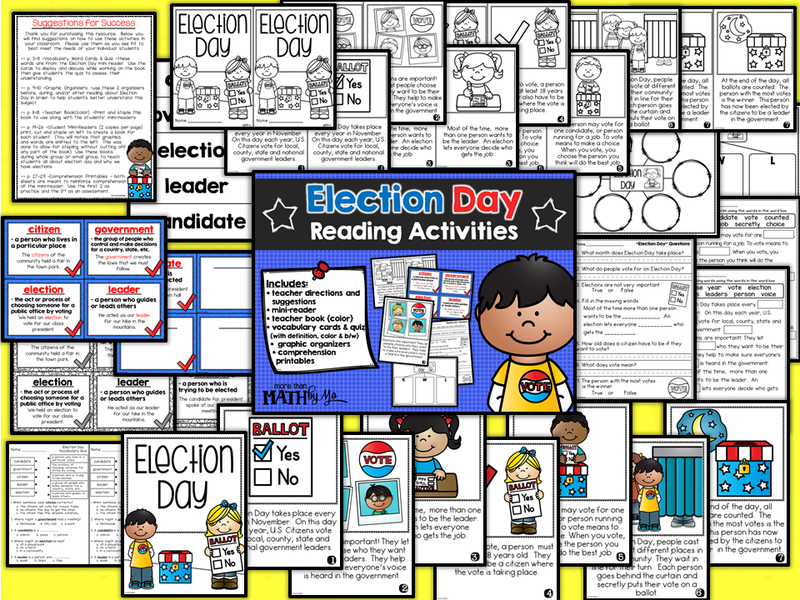 With Election Day right around the corner, have you thought about how to teach your students about this important day that happens each year? I've created something that I will be using this week and thought I'd let you know about it in case it could help you as well. - Student mini-readers -8 page books that you can simply copy, cut down the middle and staple to the left. Each page creates 2 books. This product is discounted for the first 48 hours!! If you want to check it out, click on the picture below.